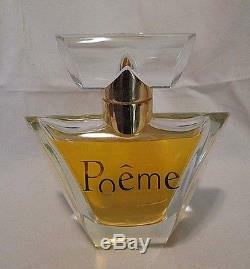 You are looking at an extremely rare, vintage Poeme by Lancôme Paris glass factice/display bottle, vintage from 1995. 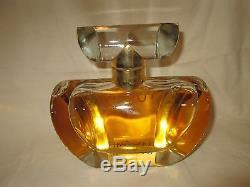 This bottles stands 8 & 1/4 inches high, 8 inches wide at the shoulders of the bottle and 3 inches deep at its widest point. Made as a display bottle for a retail store. This bottle is glass and in excellent condition except for a very tiny flea bite on the front, under the gold collar, I tried to photograph it, please look at the 8th photo. An extremely RARE factice in this condition. Please look at all photos and notice the measurements provided, this is a very large factice. We take great care in packaging your item. 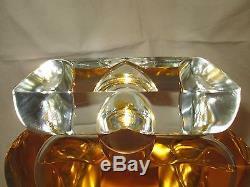 Please check out our other auctions. WE HAVE TRIED TO DESCRIBE ALL OUR ITEMS AS HONESTLY AND ACCURATELY AS POSSIBLE. 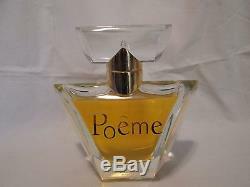 The item "Poeme Lancome Giant Glass Perfume Bottle DISPLAY FACTICE DUMMY Large Big Giant" is in sale since Thursday, February 6, 2014. 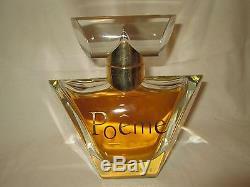 This item is in the category "Collectibles\Vanity, Perfume & Shaving\Perfumes\Commercial Bottles/Tins". 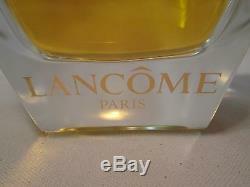 The seller is "coutureperfume" and is located in New York, New York. 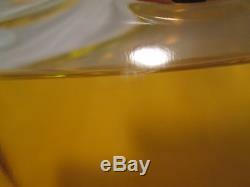 This item can be shipped to United States, Canada, Bahamas, Viet nam.